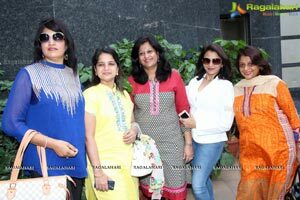 KHWAISH EXHIBITION & SALE-A SINGLE FASHION DESTINATION WILL BE HELD AT TAJ KRISHNA FROM 9TH (FRIDAY) & 10TH (SATURDAY) JANUARY 2015. 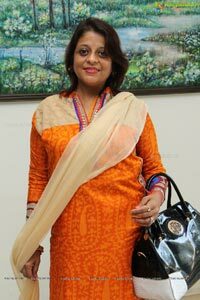 FAMOUS DESIGNERS VIJAY RANA, HITESH & AMIT WILL SHOWCASE THEIR LATEST TRENDY COLLECTION AT KHWAAISH. 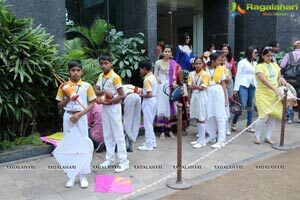 KHWAISH IS THE EXHIBITION THAT IS FASHION & STYLE SPECIAL-ON DISPLAY & SALE WILL BE CLOTHES, JEWELLERY, SHOES, HOME FURNISHINGS, ACCESSORIES & HOME DECOR ACROSS INDIA BY WELL KNOWN DESIGNERS. 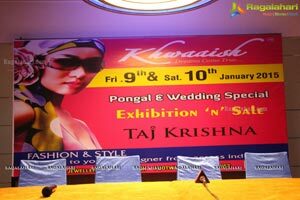 Khwaaish exhibition & sale a one stop fashion destination will dazzle at Hotel Taj Krishna from 9th to 10th January, 2015. 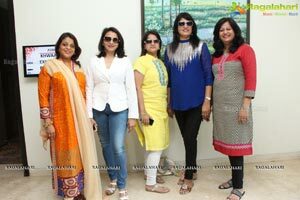 Various designers from across the country will be displaying their creations on clothes, jewellery, shoes, home furnishings, accessories & home decors. 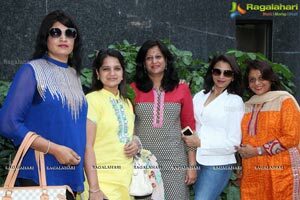 Khwaish is the best platform to exhibit & sell your products from all across India. 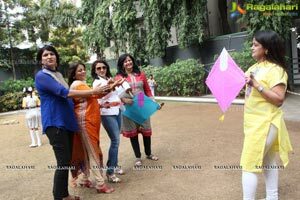 Team of Khwaaish Exhibition as always with their Social Initiatives are celebrating the season of festival with Joy of Surprising Kids and this time Team Khwaaish are celebrating festival by gifting the underprivileged children’s the season’s favourite Kites, Flying Accessories and Sweets among Children’s. 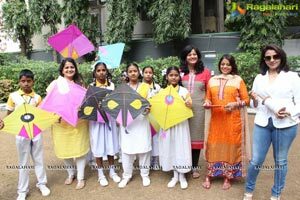 Team Khwaaish has always followed up with their care for 3E’s-that’s Environment, Education and Empowerment, and has empowered juveniles, educated the poor children’s and cared for environment by using Eco-Friendly materials at their exhibitions across the country. 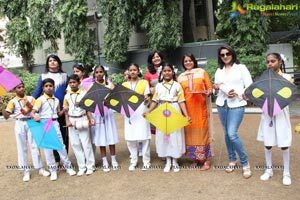 Speaking on the occasion members of Team Khwaaish added that “the festive season, we have brought in Joy of Surprising initiative were the Underprivileged Kids are being gifted with Kites, Flying Accessories, Sweets , etc which are special this festive season. 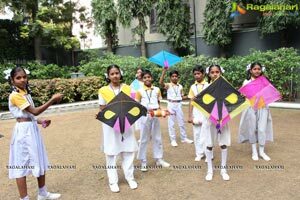 They added that we often see these poor kids running on roads to catch kites and often gets hurt in this process, in order to create an awareness we have started this initiative. 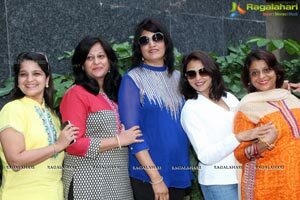 The five enterprising women started the Khwaaish Exhibition about 10 years ago in a small way. 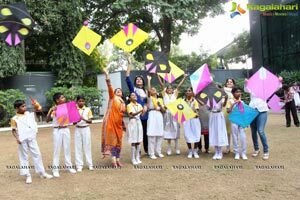 Now Khwaish has blossomed into a network that not only brings-people together but has evolved into a community dedicated to betterment of one and all. 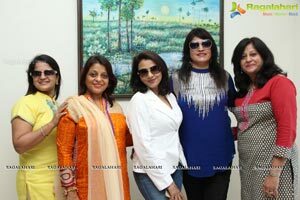 Famous designers like, Vijay Rana, Hitesh, Amit and others will‘Showcase their exclusive design in Khwaaish. 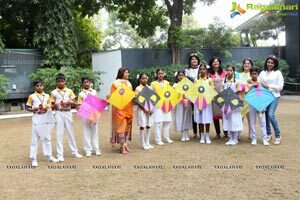 Khwaaish is a name that every Hyderabadi can relate to. 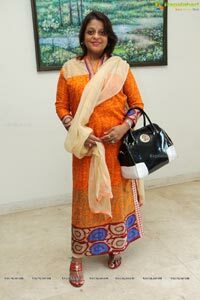 With the success in all over India, Khwaaish has set a bench-mark in the field of fashion and glamour. 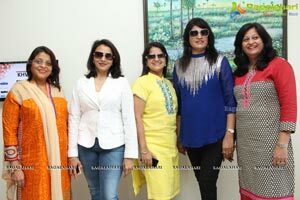 The team of Khwaaish that includes Archana Dalmia, Ritu Dalmia, Savita Bansal, Namita Kanodia and Vanita Kanodia share a common dream of the country’s development and educating the future of India. 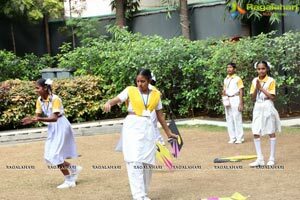 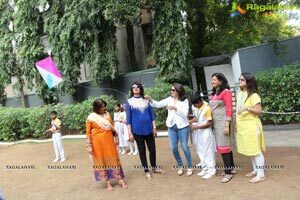 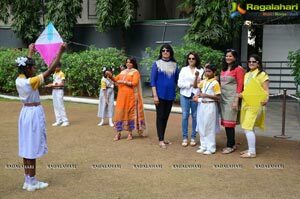 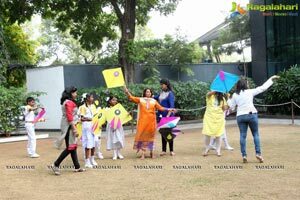 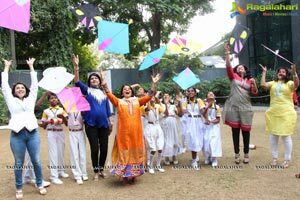 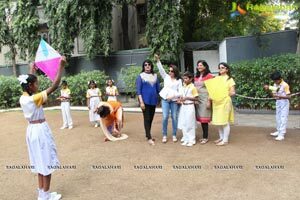 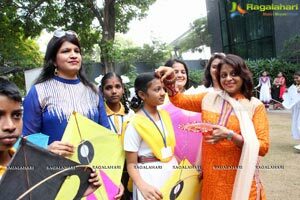 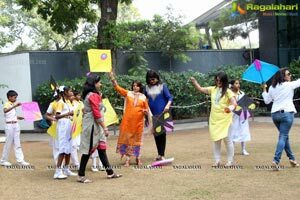 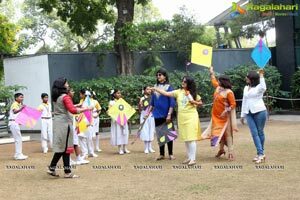 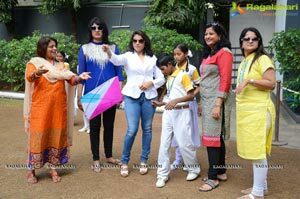 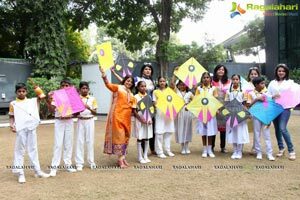 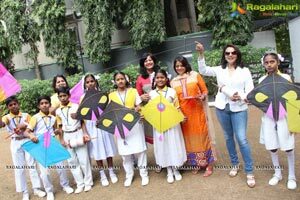 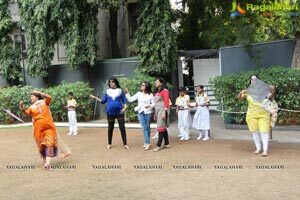 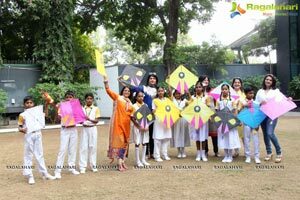 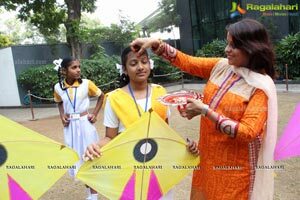 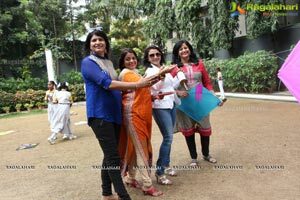 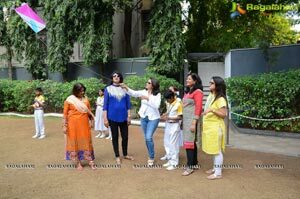 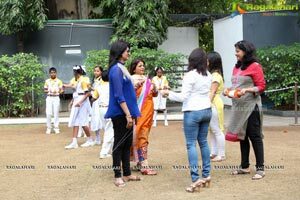 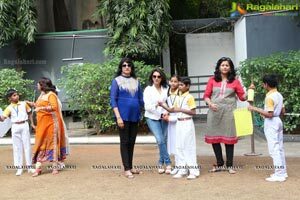 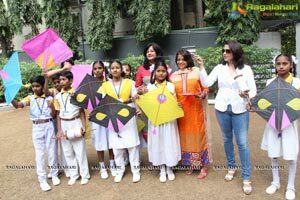 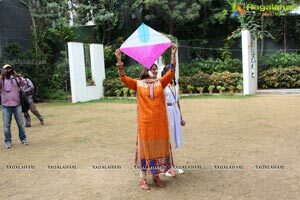 The curtain raiser occasion saw the Kids flying kites along with the Team Khwaaish.